Juha Alakarhu, Director of cameras for phones at Microsoft, has written a blog post about the camera in the new Lumia 950 and 950XL devices. In this article we recommend our current favorite smartphone cameras. 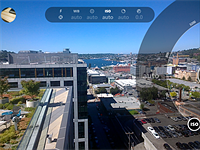 With Windows 10, Lumia Camera becomes the default camera app for all Windows devices. 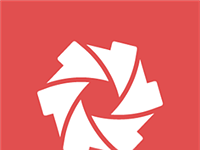 The new Rawer app lets you edit Raw files on certain Lumia devices. The Lumia 930 comes with a 5-inch full-HD screen, a 20MP camera module and Windows Phone version 8.1. The Nokia Lumia 1020 gains Raw capture through the "Black" firmware update. We took a closer look at the DNG files for its photographic potential. 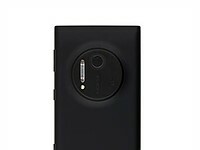 Nokia introduces the Lumia Icon with a 20 megapixel PureView camera. Thanks to the "Black" firmware update the Nokia Lumia 1020 is now capable of recording Raw DNG files. 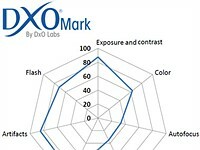 DxOMark has tested the device's Raw image quality and compared it to some compact cameras. 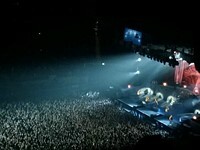 Pureview or not, Lumia users can test the Nokia Camera App. We've put Nokia's newest smartphones through Dpreview's imaging tests. 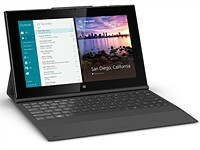 Customers in the US can get Nokia's tablet with AT&T or Verizon's cellular connectivity. 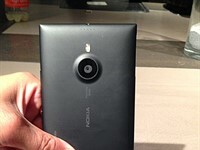 Imaging tests score the 8.7MP Lumia 925 just one point lower than the 41MP Lumia 1020. 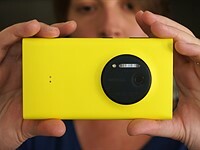 A look beyond the Lumia 1020: Nokia's Lumia 900 series offer compelling cameras too. 35% of Americans own a tablet, according to Pew Internet report. 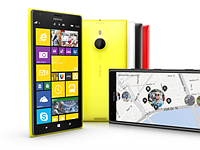 Lumia 1020 and 1520 users will be able to save uncompressed DNG files. 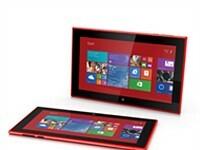 Nokia announces two 6-inch smartphones and a 10-inch tablet. Read DxO's scientific analysis of 14 aspects of mobile imaging including detailed image quality assessment in our report. 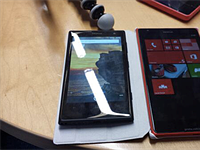 Leaked photos suggest the 'Lumia 1520 Pureview' camera could simultaneously save 5MP and 16MP images. 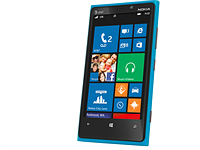 Is Nokia planning to supersize the Lumia? 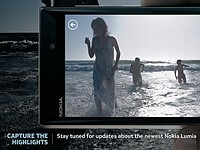 Nokia challenges photographers to capture low light images with its Lumia 925. 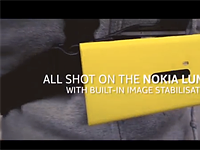 Initially exclusive to the Lumia 1020, the manual photography app comes to more Nokia models. Van Genderen's Lumia 920 film made it all the way to Sundance. This $1,200 wristwatch will tell you the time and take your picture, too. Nokia's new Lumia 1020 smartphone packs some impressive features, most notably a 41MP imaging sensor capable of high-resolution stills and video. A new Nokia advert goes deep (literally) into this aspect of the phone's hardware with a virtual look inside the imaging pipeline of the 1020, showing the entire process of image capture from the shutter opening and light coming through the lens to the creation of a digital image. The result is pretty stunning. Click through to see for yourself. 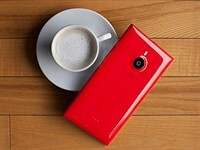 Our first impressions and first images from Nokia's new PureView phone. 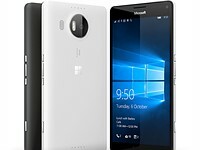 The latest Lumia has a big screen but underwhelming camera specs. 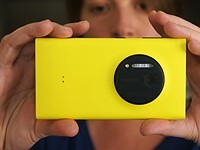 The Lumia 1020's manual camera application will be available on older models. In 12 years, the smartphone camera has come a long way. 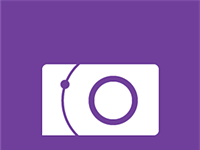 Oggl Pro brings even more advanced photo functionality, but only for Nokia's new phone. Photos show off phone's imaging prowess. We're on hand as Nokia launches the Lumia 1020, its 41MP camera Windows Phone 8 device. 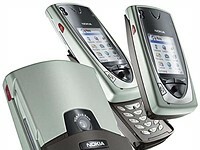 Short films showcase Nokia's flagship smartphone. Our hands-on look at the new device, and an interview with two Nokia execs about how the company is advancing imaging from the chipset level. See sample images from the camera using the new Nokia Smart Camera app. 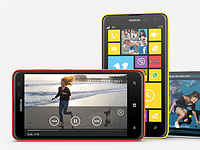 Promo says the latest Lumia smartphone lets you "capture the highlights." 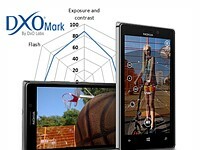 We have added DxOMark's Mobile Report to our review of the Nokia Lumia 920. 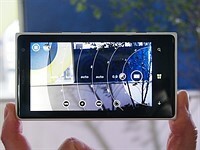 Our review of the Nokia Lumia 920's camera. Nokia optimistic after preliminary fourth quarter report.